Now What? : It's days like these I wish I had 3 layers of fur. It's days like these I wish I had 3 layers of fur. Every neighborhood has that one strip of street where every dog does their business. It’s less apparent for most. The only time you really know this is dog poop alley is during a rather humid day and when ice and snow reveal what you’re truly walking on. That’s why I hate snow in the city. The only snow in the city I like is blizzard snow or just fallen snow. Both are mostly untouched, clean snow. Snow in the city not only shows you what you’re truly walking around but what you’re breathing in. Z-girl loves the snow. She waits in anticipation for the first snowfall. If the snow does not accumulate enough to provide a sufficient pile to pounce on and in, she looks up at us as if we can magically produce more snow for her. 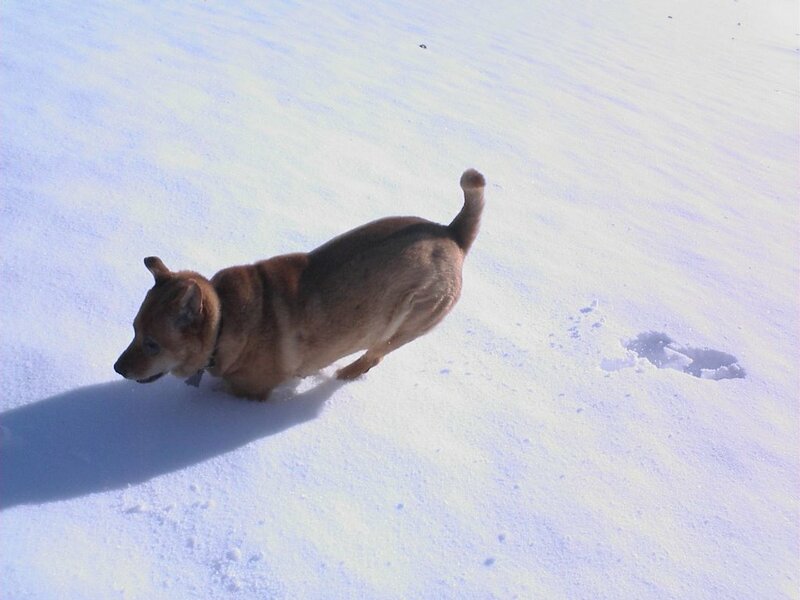 Much to the chagrin of her owners and her brother, she’ll walk and walk and walk in search of the elusive snow pile. 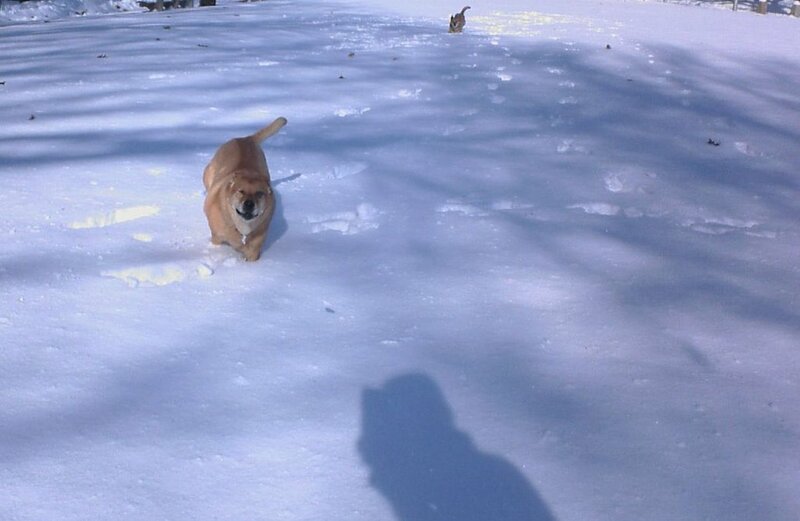 By our third snowfall this season, we had a sufficient snow accumulation to take her to the park and let loose. 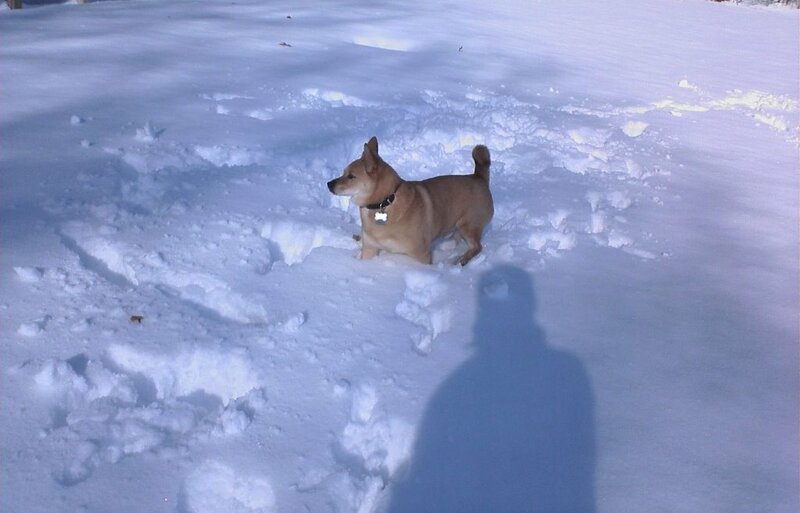 P-man isn’t a snow frolicking fool, like Z. He’s much more refined. He’ll bound around but he would be just as happy curled up in what he thinks is his own king size bed. But that snowfall has long past and the frigid temps have left piles of frozen grey, yellow, brown guck that is repulsive. My dogs have been wise enough to avoid these patches but they’ll happily add to the disgusting snow cone. In fact, Z-girl loves to find a clear patch to melt. I don’t know what it is about snow and ice but she’ll purposely go out of her way to find a clear patch to melt. Ok, I know this post is getting pretty gross. This is how I’ve started my morning for the last few days. You think that’s gross? Try maneuvering your way around this path to pick up your dog’s poop. Nothing says I love my dog as much as squatting in subzero temps with a plastic baggie and a paper towel between me and my dog’s steaming pile of love. This is the time of the season I wish I still had a dog walker. Maybe for Christmas, Santa will give me a dog walker. Tomorrow’s forecast calls for another snowstorm to hit in the evening into Friday. Sadly, I’ll know that the disgusting sludge will only be masked temporarily by fresh snow. At least they’ll have the clean snow in the park.